Opened on the 1st of July by Lord Robert Winston, the new £23m Bioscience building will house Brighton Universities new School of Pharmacy and Biomolecular Sciences. 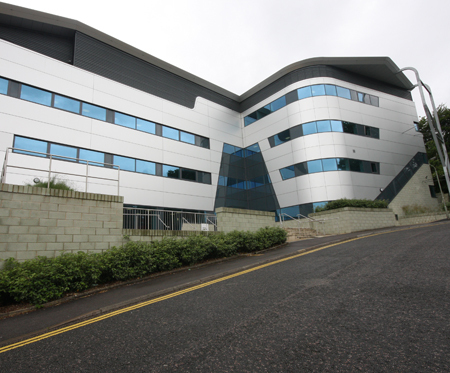 AM Fire & Security have a long-standing relationship with Brighton University and have been involved with a variety of their previous projects. Our job on this particular project was to design and install the security systems for the new building, including a variety of access control solutions, CCTV cameras and a large-scale intruder alarm system. After a full consultation we planned to utilised technology from Salto, IndigoVision and Honeywell to secure the £23m investment. At the front entrance, the automatic sliding doors were installed and accompanied by a Salto card reader. The Salto system was then run throughout the building, preventing access to staff areas and managed centrally. IndigoVision IP CCTV provided the surveillance, offering a network of high resolution cameras to watch over the property all day and all night. Finally, no security system should go without an intruder alarm. 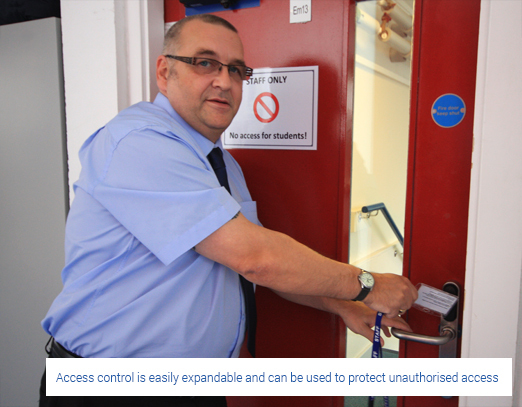 A Honeywell system was utilised to protect key security areas, tying together the whole system as a solid unit. Each of the system were picked for their quality, reliability and flexibility. This ensures that the property can easily expand it's security system in the future with ease, whilst standing the test of time for many years to come.